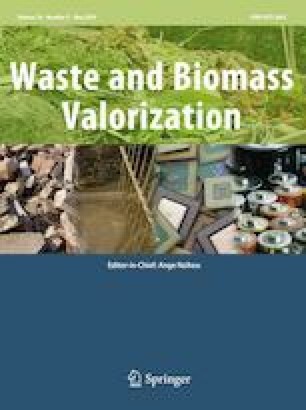 The present study evaluated the feasibility and processes occurring in a vertical-flow windrow vermicomposting system of distillery residues together with wheat straw. There were differences between the very top and lower layers. The top and so youngest layer showed the greatest humidity and electrical conductivity among the layers. It was characterized by partially decomposed organic matter with a great amount of earthworm biomass (2.5 g kg−1), which was confirmed by parameters such as Ctot (34%), Ntot (2.25%), and C/N (15.3). On the other hand, the lower layers were characterized by greater maturity, which was documented by a lower content of microbial biomass and activity of hydrolytic enzymes, as well as a slightly alkaline pH (7.6–7.9), and lesser values for N–NH4+ (22–84 mg kg−1) and dissolved organic carbon (5228–6564 mg kg−1), which was indirectly proportional to the ion-exchange capacity (57–60 mmol+ 100 g−1). Among the examined macronutrients, potassium showed the greatest content. The total contents of P and Mg increased directly with the age of the vermicomposted material, which was related to the loss of organic matter. The proportion of the available contents of P, K, and Mg constituted on average in all of the layers 11, 64, and 10%, respectively, of the total content. On the basis of the detected parameters, the top layer is suitable for a new windrow and for the preparation of aqueous extracts. The older layers are suitable for use as an organic fertilizer. The authors would like to thank Iva Labastova from family grower distillery in Cesov for experiment maintenance and Christina Baker Starrman for revision of the English text. The authors disclosed receipt of the following financial support for the research, authorship, and/or publication of this article: This work was supported by the Ministry of Agriculture of the Czech Republic under NAZV Project No. QJ1530034 and by the Ministry of Education, Youth and Sports under FAFNR S-Grant.